Comments: For Sparky, I started off with a 1972 Topps PSA 8 purchased in December, 2003. 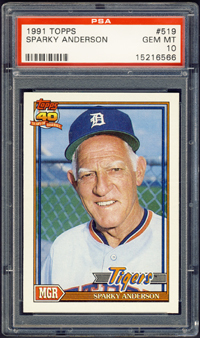 In April, 2005 I swapped the item out for a 1960 Leaf PSA 8. That didn't last long as I realized I really wanted Aparicio to represent the 1960 Leaf issue. 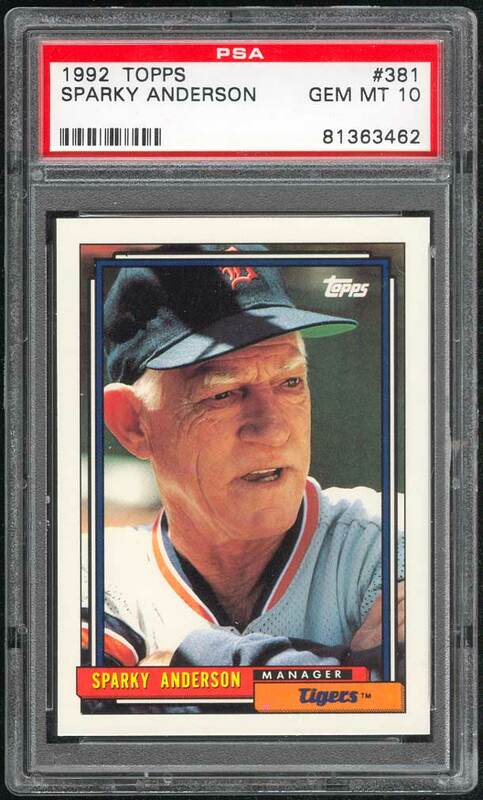 So, a couple months later, in June, 2005 I purchased this PSA 10 1991 Topps on eBay from seller 4 Sharp Corners. 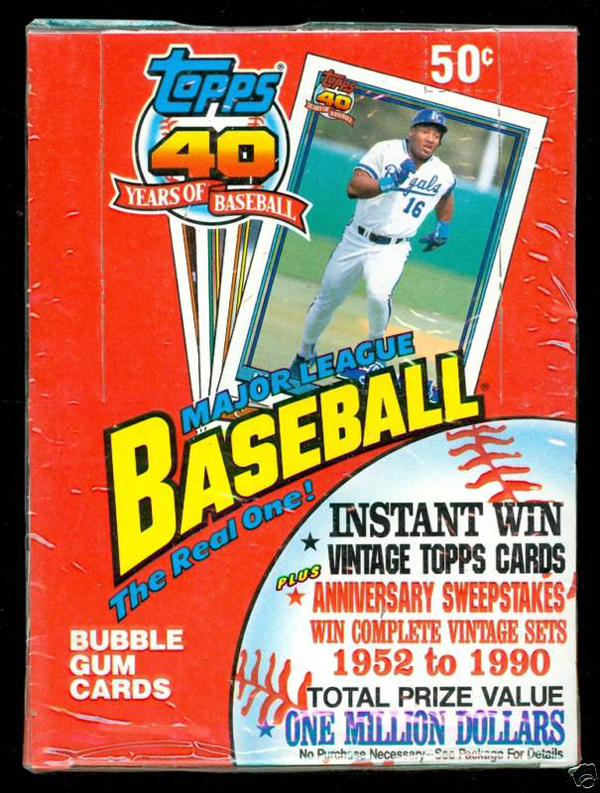 Description: Topps celebrated its 40th anniversary in 1991 with the biggest promotional campaign in baseball card history. More than 300,000 vintage Topps cards (or certificates redeembale for valuable older cards) produced from 1952 to 1990 were randomly inserted in packs. 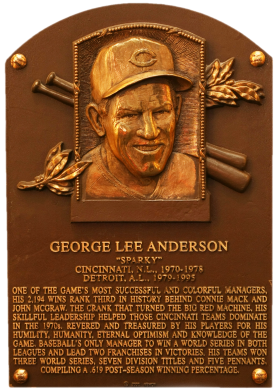 Also a grand prize winner received a complete set from each year, and others received a single set from 1952-1990. 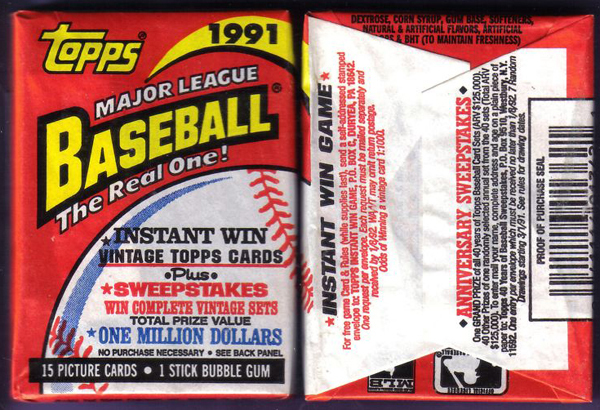 The 1991 Topps card fronts feature the "Topps 40 Years of Baseball" logo in the upper-left corner. Colored borders frame the player photos. All players of the same team have cards with the same frame/border colors. Both action and posed shots appear in full-color on the card fronts. The flip sides are printed horizontally and feature complete statistics. 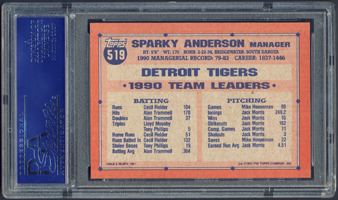 Record Breakers and other special cards were once again included in the set. The cards measure 2-1/2" X 3-1/2". 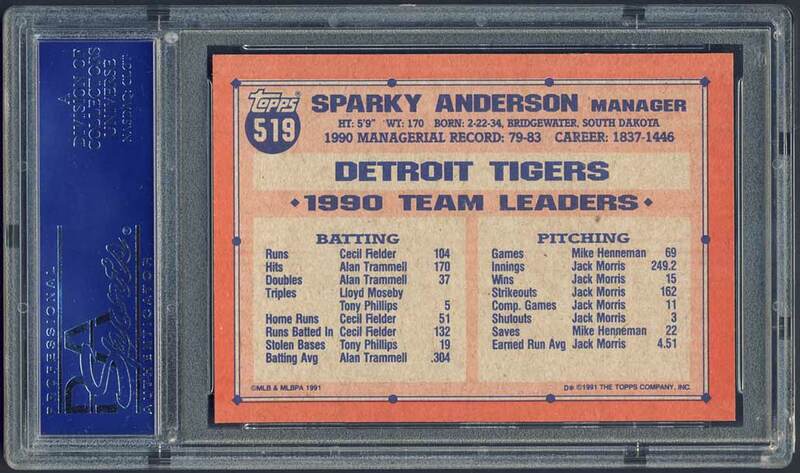 Many cards can be found with variations in the sheet-letter (A-F) designations in the copyright line on back.